It's been a crazy start to 2017, one that inevitably delayed me from working on this list. But fear not, I'm finally ready to reveal my Top Ten of 2016! Unlike previous years, I was more selective of the films I watched. This was a really good year to be a fan of film. We will be talking about a lot of these films for years to come. But there are always two side to every coin. Even though I was more selective, the bad films I watched made me question why I ever had a fragment of hope for them. I'm talking about you, Independence Day 2!! The smaller indie films made me more emotional than any other year in recent memory. Fences, Manchester by the Sea, Moonlight, and La La Land were a few of the culprits that moved me to tears. Debbie Reynolds, Carrie Fisher, Alan Thicke, Florence Henderson, Gene Wilder, Kenny Baker, Garry Marshall, Anton Yelchin, Patty Duke, Garry Shandling, and Alan Rickman. What a pleasant surprise this film was. 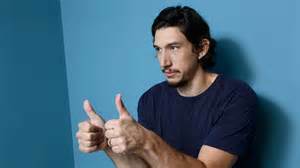 Adam Driver plays Paterson, a normal guy who lives in Paterson, NJ. Patersons adheres to a simple routine: he drives his bus route, he writes poems in his secret notebook, he walks Marvin his dog, stops by the bar for exactly one drink; he then goes home to his wife Laura. Golshiefteh Farahani plays his wife Laura, a woman who has new dreams for life daily and encourages Paterson's poetry. It's a simple observation of the ups and downs of everyday life. This film doesn't have any action scenes and there isn't a bomb on his bus, but it does however celebrate the life of the normal man. The chemistry that the two leads have - Driver and Farahani - shines and they are quite charming together. It also is very funny and captures the little moments in our lives. It's also worth noting that Rizwan Manji constantly made me laugh each time he was on screen. From the first trailer I watched I was hooked. We follow as a divorced father and his ex-con brother resort to robbing banks to save their family farm. This is one of the few films I have ever re-watched immediately after my first viewing. It's an indie film, but feels a lot bigger than it actually is. I love how real the characters were. They are relatable, and we're able to put ourselves in their shoes and care for them. Jeff Bridges, Gil Birmingham, Ben Foster, and Chris Pine all stepped up their games and delivered great performances. Chris Pine gave the best performance of his career and I'll remember it for years to come. Even though I'm a fan of Jeff Bridges, I would have loved to see Ben Foster nominated instead. I also suspect writer Taylor Sheridan is going to have an amazing career,considering he recieved an Oscar nomination for this film and he wrote Sicario as well. Arguably, the most important film that came out last year. Moonlight, tells the story of Chiron at three different stages in his life, when he is a young boy, a young man in high school, and when he is a grown man. We witness the struggles of Chiron as he try's to find his place in the world and battle with who he is. Barry Jenkins, follows up, Medicine for Melancholy, with another extraordinary film. Jenkins was able to get amazing performances out of his actors, with the standouts being Mahershala Ali and Naomie Harris. This film isn't easy to watch but it's worth it. I have seen this film a few times now and it gets better and better and I seem to cry with each viewing. The only reason it's not higher is that the third act wasn't the strongest as the previous two. Nicholas Winding Refn has made one of the weirdest and arguably the most disturbing films of this year. It's about a young up-and coming model who gets tangled in a web of behavior and a lifestyle that doesn't reflect her character at all. Jealousy and greed saturate her contemporaries in the industry. It is so bizarre and really hard to describe with any detail. I have watched this several times and with each viewing I got something different out of it. The one thing for sure, the cinematography, costumes, makeup, score, and acting are some of the best of the year. Elle Fanning and Jena Malone prove that they are amazing actresses that need to be in more stuff. The ending will leave you speechless and make your stomach turn. I hate ties as much as the next guy but there was no possible way I could split these two films up. For starters, they both are home invasion films that have characters that are without certain senses: I.e Don't Breathe - has a blind ex military type man. Hush - has a mute and deaf female writer. Watching both of these films with the lights off made my senses more heightened and me nervous for what was about to happen next. Now any other year you wouldn't see a horror film even close to my top ten list but 2016 was special for the horror genre. These two films were even more special because they were scary but had characters that we're believable and vulnerable and limited the horror cliques that I hate. Both films cast were top notch as well. Stephen Lang from Don't Breath and Kate Siegel from Hush showed us that horror films can have great acting in there films and become the exception not the rule. I strongly recommend these films, they will make you feel uneasy, scared, and put you on the edge of your seat. It's funny the places you hear about films. Everyday when I drive to work I listen to NPR, and one day they were talking about Korea's first zombie film. So when I finally watched it, I was surprised by how awesome and intense it is. This films follows several passengers as they travel from Seoul to Busan while trying to survive a deadly zombie virus outbreak. I enjoyed this film so much - my heart was beating non stop. But it isn't just a zombie film. It has character you both come to believe in and despise as well. This would be a very fun character study on how the world handles tragedy and horrible situations. Aside from character development, the technical aspects are also well done. The effects, sound, makeup, and editing are some of my favorites of the year. Fun little side note: this movie was my number one for most of the year until recently. If you don't mind subtitles and want to see a very fun, entertaining, and suspenseful film, check this out. You know a documentary has to be great to make my top ten list. This is the first documentary to crack my list since my number one film of 2005, Earthlings. Originally this was a TV documentary series, but I'm so glad that it's being considered a film by the academy. It is a real, detailed look at the rise and fall of O.J. Simpson, but also covers what was happening with the LAPD and in the country at that time. It is very interesting and frustrating to watch. Even with a total run time close to nine hours, you want to know more right away. I knew very little about O.J. going in and after watching this I felt very upset and disgusted by the man he was. This film also sheds light on issues that are as relevant today as they ever were. To quote my friend and fellow film critic, Todd Plucknett: "This isa film about race, the justice system, Los Angeles, celebrity, and most of all - America." So, one of the main reason this list was delayed was I wanted to watch the next Scorsese film. Scorsese is my favorite director of all time. The Departed, Taxi Driver, and Goodfellas are some of my favorite films of all time. Silence, in time, could join the ranks of the greatest Scorsese films. This film follows two Jesuit priests and their journey through Japan to find their mentor and friend. It takes place in 17th century Japan, where the simple acknowledgement of being a Christian resulted in torture and the ultimate price: death. Ultimately, this film is about true faith and being a martyr for what you believe in. Even with a long run time it never feels as long as it actually is. Some of the imagery on screen is hard to watch, so be prepared. It is criminal that this film was almost enitely snubbed at the Oscars outside of cinematography. Denis Villeneuve has finally started becoming a household name. He is quickly moving up my favorite directors with each film I see. Arrival, is his third film in the last four years to make my top ten list; the others being Sicario (2015), and Prisoners (2013). What I enjoy about this film is that we are in a time of alien/science fiction films having a lot of explosions and action, but Villeneuve scales everything back to make a more human story. Another thing he does well is that he isn't afraid to make strong female characters in his films. Don't be fooled - Arrival does have aliens, but this film is really about communication and humanity. It's beautifully filmed and the score is amazing. Amy Adams gives one of my favorite performances of the year and her lack of nomination is a glaring Oscar snub. Even with eight nominations at this years Oscars, I feel Arrival, was snubbed for visual effects, score (Passengers and Lion don't even come close), and Amy Adams. This film will leave you with questions, so multiple viewings are a must. I have seen it twice so far and I'm still in awe of everything I witness on screen. There was no film experience of 2016 quite like this one. Manchester by the Sea is an emotional roller coaster that will be hard to shake well after the credits rolls. Casey Affleck plays an apartment handyman who receives custody of his nephew after his brother passes away. We've seen this premise in a lot of other films before, but as the story moves along and the layers of Affleck's character are peeled back to reveal a grief like no other. Casey Affleck gave us his best performance as well as the best of the year. He and fellow costar, Michelle Williams, broke my heart as I watched the relationships and pain reveal themselves. I put myself in his shoes and I never want to feel the pain he felt. Manchester by the Sea is not just a film - it's the closest experience to actual life that might have ever been put on screen. It will make you laugh, cry, but most important of all - it will make you appreciate the little things in life and not take them for granted. I recently just rewatched this and I walked away liking it even more, it truly is a work of cinema mastery. I feel that Arrival and Manchester by the Sea will forever be locked in a back and fourth death match for my number one film of this year. Well that's my list!! Did I surprise you? What did I leave off? Let me know your top ten and your opinions on mine!